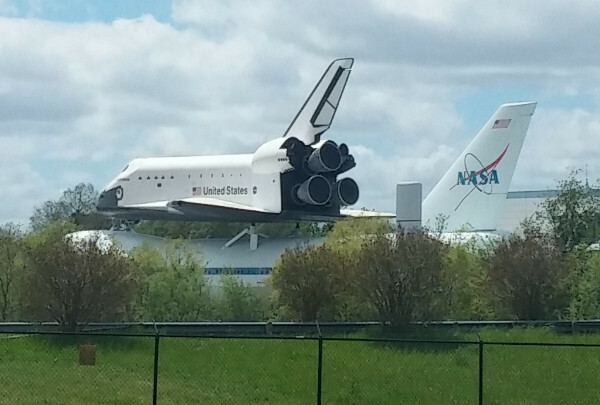 Continuing a series of posts that I last worked on, in....er.... February, one of the places we visited in Houson (visiting my brother and sister in law) was the NASA Center in Houston. As a space nut, this was a pretty awesome trip. 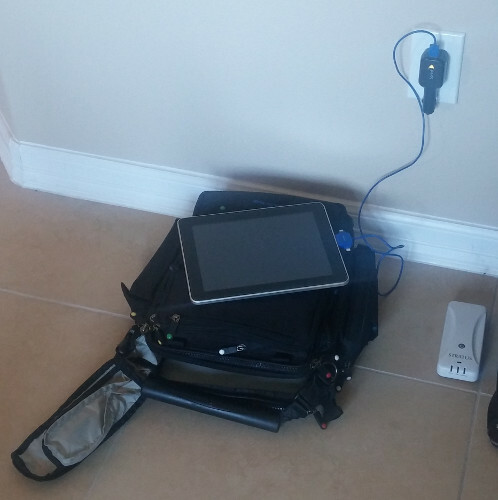 While we were out on the town for a day, I charged all my stuff. A few highway photos while we were driving into town. 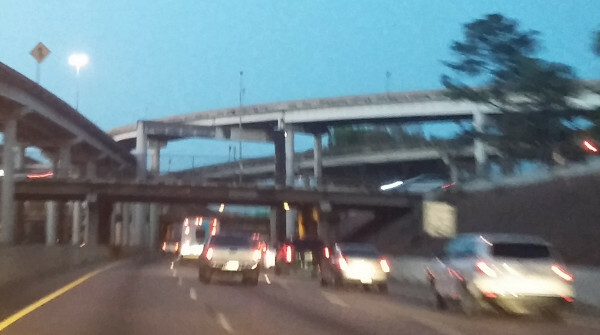 Houston is VERY big on flyover-overpass exchanges. 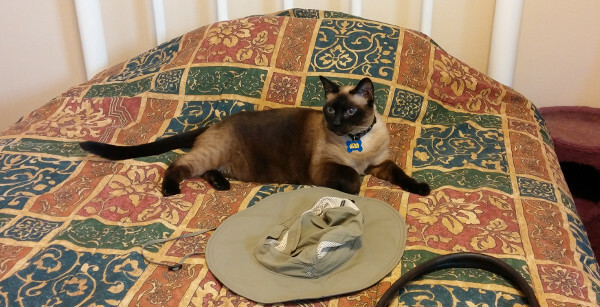 Here's a good example. Another overpass set; at least three layers! A lot of the stuff on display at NASA in Houston is so big that it doesn't particularly lend itself to photography without serious wide-angle gear, and I just had my phone. I attempted to take a few shots to commemorate the occasion. 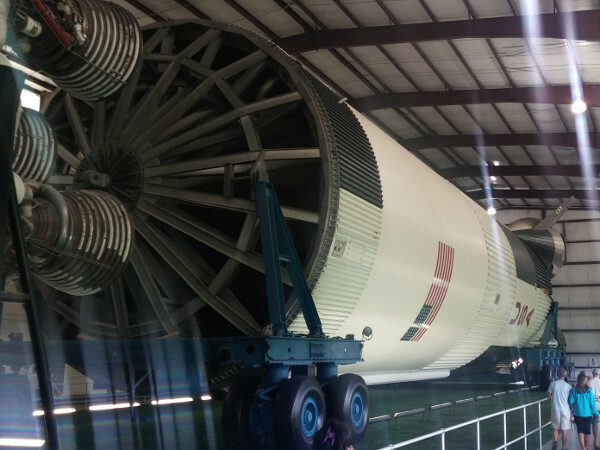 Another highlight of Houston NASA is that they have a complete Saturn-5 laid out in a horizontal display building. This is looking down the first stage from the second stage. The first stage is sitting on its ground carrier vehicle; look at the enormous tires! An (I'm guessing) engineering test Command Module (the brown bit) with its escape tower on the right. As of this trip, I have now seen all of the Saturn-5 rockets on public display in the US. 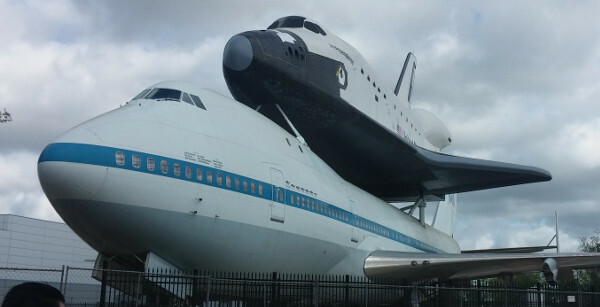 There's one at Saturn Apollo Center at Kennedy Space Center in Florida, there's this one at NASA in Houston, and there are two at Huntsville, Alabama, one inside like the other two are, and one stacked vertically outside (which is REALLY impressive to see). I've read there's one more Saturn 5 first stage outside somewhere in Louisiana; maybe I'll go fly over it someday. Outside the Saturn 5 display building, they have some rocket engines, and this. 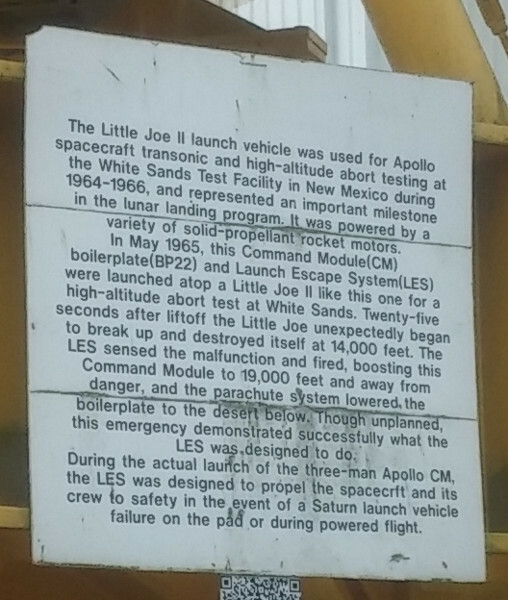 It's a "Little Joe" test vehicle that NASA used to test the escape system for the Apollo Command Module. 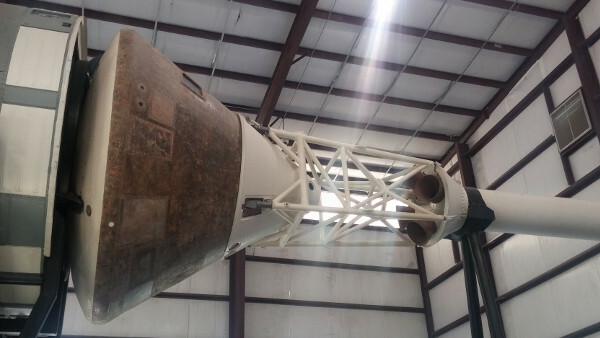 You can see it here, sitting with a command module mounted on top of it.